Q : Do we cater for any special dietary requirements? A : Magistic Cruises offers a buffet menu on our lunch and dinner cruises. The buffet menu is designed to cater for the majority of guest expectations. Please refer to our menus online before you make your booking. The menu items are labelled and includes a choice for vegetarian, halal and gluten-free. As all the dishes are prepared in our on board galley, we cannot give 100% guarantee that certain ingredients will not be in our dishes e.g. nuts etc.. For serious food allergies, we request our customers to make their own decision on selecting dishes from the buffet. Our staff comments are only to assist you in choosing your dishes, however, the final decision must rest with you. The company explicitly accepts no liability. Please submit all special requests 72 hours’ prior to the cruise. Additional dietary menu surcharge will apply. In exceptional circumstances, if you or one of your guests wish to bring their own meal, we are happy to accommodate this request. Sydney Showboats offers a 3 course seated and served menu. On our charter cruises, the menu will vary depending on the clients requirements. The relevant above details will apply for both Sydney Showboat and charter cruises. Q : Is byo allowed? A : There is strictly no BYO alcohol on our cruises. Beverages can be purchased on board from our fully licenced bar. Q : Is the cruise wheelchair accessible? A : Unfortunately, our Sydney Showboats paddlewheeler is not accessible via wheelchair. Q : Where is the closest parking station? A : Secure Parking offer two great parking stations close to King Street Wharf. 1. King Street Wharf Parking on Shelley Street is the closest parking available. 2. Another nearby parking station is 321 Kent Street with an approximate five minute walk to King Street Wharf. Parking rates are available by visiting the Secure Parking Website. Q : What is the dress code for our cruises? A : Our Showboat Dinner Cruise has a 'Smart Casual' dress code (Eg. trousers, collared shirts, dresses & jeans). Our special event cruises range from Smart Casual to Formal so feel free to dress up for the occassion! Q : How do i obtain a quote for private boat hire? A : Please fill out our online enquiry form or you can call us on (+612) 8296 7351 for the latest discounts on group bookings. We will tailor a package to suit your specific needs, budget, occasion and requirements. Q : Is their a special rate for group bookings? 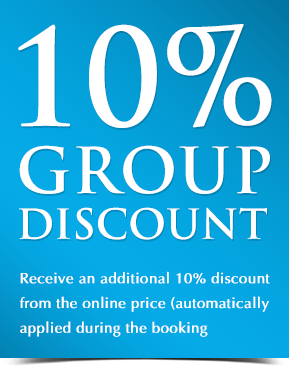 A : Please visit our various occasion pages under 'Group Discounts' for more information about current special offers for group bookings. You can also fill out an online enquiry form for a personalized quote or call (+612) 8296 7351. Q : Do i have to pay in full for large group bookings? can a deposit be paid? A : No. We accept 25% deposit for large group bookings. The full booking amount will need to be paid two weeks prior to the cruise. Payments can be made at regular intervals or in one lump sum, whichever is more convenient for you. Final guest numbers also have to be confirmed 2 weeks prior to cruise date. Q : I have a promo code, how do i use this for my booking? A : When you are checking availability, please enter the promo code you have along with the number of tickets and your preferred date. Please note there are a limited amount of seats available for promo codes on given days, so please refer to the pricing calendar for availability. Q : My promo code is not working what do i do? A : All of our promo code's are subject to availability, so there may not be seat availability for the given date. But first check the following things are correct: - Ensure that the promo code you are entering matches the promo code on the promotional material. Check the validity period of the promo code and any black out dates of the promotion If all of the above is checked and the promo code still is not working, please call our Reservations team on (+612) 8296 7351. They will be able to check if the cruise is running on the given day and if your promo code discount is available for that cruise. Q : How do i check availability for a cruise? A : You can check availability for any of our products by clicking on the book now button for each product. This will take you to our online reservations system. Please enter the desired date and the number of tickets you wish to purchase. This price displayed is dependant on the number of seats available - so if you check availability and come back a couple of days later you are not guaranteed to recieve the previously displayed price. The price on the internet is the best available price across the business. Q : Can a payment for a cruise be made via cash, cheque or direct debit? A : We do accept these other methods of payment; however, credit card is only available for online bookings. If you would like to pay by cash, you are welcome to come into any of our ticket offices around Circular Quay and Darling Harbour to make your booking. If you would like to pay via cheque or direct deposit, this must be done at least 4 days prior to your cruise date. Q : How do i confirm my booking? Q : Why is this cruise so expensive? A : The price of the cruise is reflective of the penalty rates applicable to staff wages on all Australian public holidays. Staff are entitled to double the pay rates on all public holidays prescribed by the government. For example, the minimum rate of pay for a waiter/ess or kitchen hand on a public holiday is approximately $50+ per hour, which is reflected getn the cruise price. Q : Why are Christmas Day cruises so expensive? A : The price of the cruise is reflective of the penalty rates applicable to staff wages on all Australian public holidays. Staff are entitled to triple the pay rates on all public holidays prescribed by the government. For example, the minimum rate of pay for a waiter/ess or kitchen hand on a public holiday is approximately $80+ per hour, which is reflected in the cruise price.